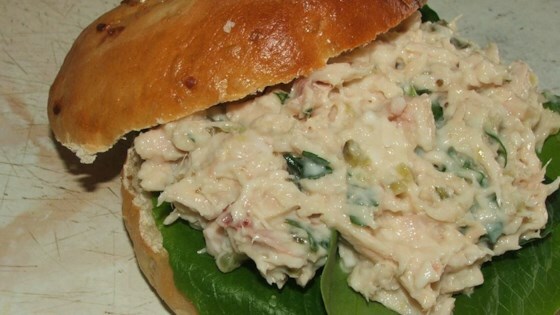 "This tuna salad is great when you are in a hurry; very quick and easy to make. It tastes great every time!" I love simple, but tasty. If time permits, I add a smashed boiled egg to this. I've learned over the years that most people I cook for prefer simple over spicey. Thanks for sharing! I add a boiled egg, with garlic powder, minced onion, a sprinkle of salt & pepper and little sugar. A delicious recipe. This tuna was simple and delicious...........I used 1/8 cup of Hellman's Mayo. This is how I make mine when I'm looking for quick and easy.